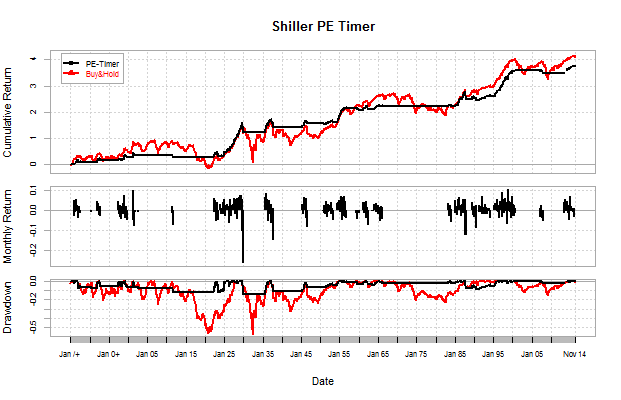 I had a quick look at my trusted Shiller Model which actually went to cash mid October this year. It continues to suggest holding onto cash. I attach the r code I used to build it, and I can apologize in advance for my sloppy coding, but it does most of the job. I plan on cleaning the code up in the near future. # I am pulling the data from Quandl and the MULTPL dataset. 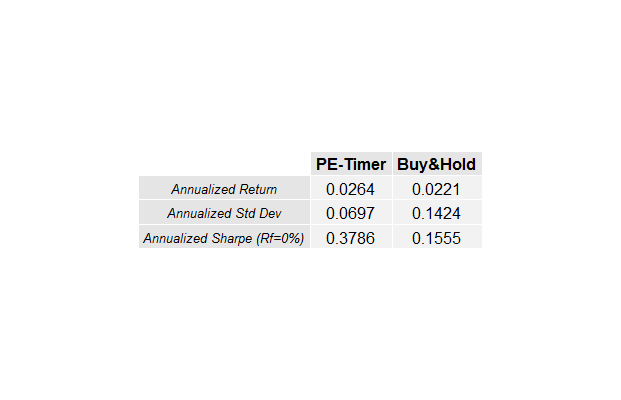 This entry was posted in Investments, quants, R code and tagged r code, shiller pe, valuations. Bookmark the permalink.